It was a bright, sunny Thursday afternoon on April 27th, 2017 when a combined group of members from the Vancouver Maritime Arbitrators Association and Institute of Chartered Shipbrokers Canada Branch made their way to the Fairmont Hotel Vancouver for a marvelous presentation called The Standard Club’s Canada Forum. Every two years, Charles Taylor & Co. Limited, acting as managers of The Standard Club Europe Ltd host this gathering, in one or two major North American centres. This year they started in Montreal, with speakers from Montreal, London, New York, Vancouver and Seattle polishing their theatrical talents to enhance the presentation. Each speaker highlighted the potential impact that might arise out of a fabricated scenario of a major catastrophe involving a collision between a ferry operating between Nova Scotia and Newfoundland and a bulk carrier leaving the Gulf of St. Lawrence. As the major casualty scenario develops, each of the 10 speakers highlighted insights into allocation of liability, major casualty response, insurance coverage, the role of the P&I club, pollution considerations and loss prevention issues. They also touched on potential local and international governing bodies who may also need to be involved and how specific authorities may have to be appointed and established at any accident or incident, regardless of how large or small. 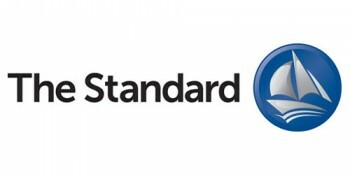 The Standard Club has been in existence since 1884 and is one of 13 “Clubs” offering insurance and underwriting to ship owners around the world. They boast an impressive clientele of over 10% of global shipping. Every vessel in the water must be insured against potential unforeseen incidents, whether they’re at sea or in port. A unique part to the event was the panel’s use of electronic polling devices. Each attendee was given a hand held ‘clicker’. At the end of each individual’s presentation, they would pose a question on the main screen and ask the audience to “choose the correct answer” by selecting the corresponding button on the clicker. From the four or five answers displayed on the screen the crowd was given 10 seconds to make their selection and the results were immediately displayed, showing the correct answer and the percentage of how many got it right. We were told the Vancouver crowd definitely surpassed the results of Montreal! Immediately following the 3 hour presentation, the magnanimous hosts sponsored a reception allowing for extensive visiting and follow up questions with the presenters. A great opportunity to hear very knowledgeable professionals present an assortment of aspects facing the people and companies operating in the maritime industry.